Discover one of the finest hotels at the Hyatt Centric Santa Barbara. 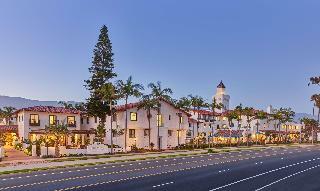 Built in 1931, this historic Santa Barbara hotel welcomes guests with its casual elegance and first-rate service. Early departures will be charged the full amount of original reservation. Overnight valet Parking $34.00 USD.